An amendment to Ohio’s budget bill would eliminate media access to the personal information of concealed handgun license holders. 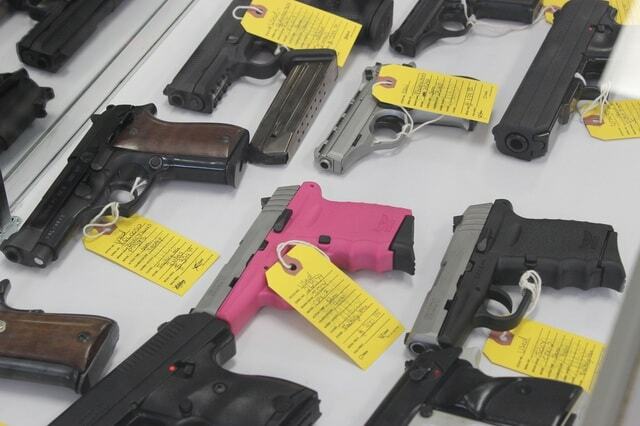 DARKE COUNTY — Should the media continue to have access to the names and addresses of concealed handgun license holders in Ohio? State Senator Joe Uecker, representing Ohio’s 14th Senate District, has proposed an amendment to Ohio House Bill 64, the budget bill currently under consideration by the Senate, which would eliminate media access to the records in possession of Ohio sheriffs. Calling the amendment “bad public policy,” Ohio Newspaper Association (ONA) Executive Director Dennis R. Hetzel opposes the measure. “It’s a solution looking for a problem,” he said. Though sponsor of the amendment, Uecker admits the struggle between transparency and privacy is not an easy one to reconcile. “There are a lot of people in the media, who, while they believe concealed carry holders should have their names and addressed printed, there are plenty of others who believe this violates their 2nd Amendment rights and their right to privacy,” he said. Ultimately, the senator believes that open access to concealed carry licensee information is dangerous. “It’s been demonstrated in the past that if you expose where someone has a concealed carry permit, you expose that person to a situation where homes may be broken into and goods taken,” he said. Joe Eaton, treasurer and board member of the Buckeye Firearms Association (www.buckeyefirerams.org), agrees. Eaton pointed to instances in which media outlets published, en masse, the names and addresses of concealed carry license holders. Locally, he specified articles published by the Sidney Daily News in 2004 which revealed the personal information of Ohioans who had applied for licenses with the Shelby County Sheriff’s Office. As it stands, reporters in the Buckeye State confront strict informational roadblocks. According to the Reporters Committee for Freedom of the Press, a press advocacy group, Ohio is characterized as a “limited access” state in regards to how it handles concealed carry holder information. Chief Deputy Mark Whittaker of the Darke County Sheriff’s Office confirms that county sheriffs are highly restricted by state law as to what information they can offer, and to whom. “The journalist can only view the information and can not copy the information. The request from the journalist shall include the journalist’s name and title, name and address of employer and shall state that disclosure of the information sought would be in the public’s best interest,” he said.